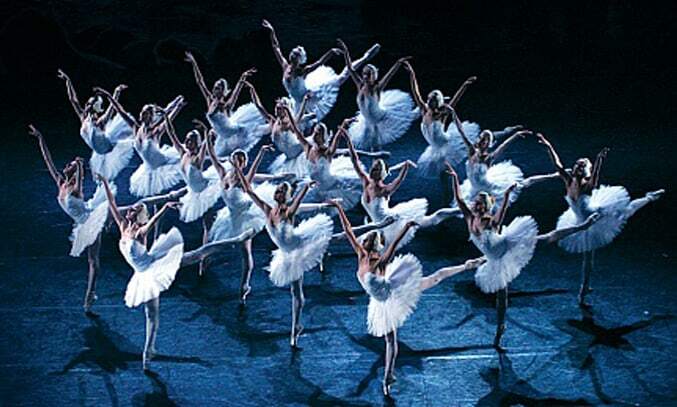 There have been many interpretations of Swan Lake over the years, but Moscow City Ballet’s latest performance of the famous classical ballet is one of the best. Swan Lake tells the story of Prince Siegfried and his love for Odette, a beautiful princess turned into a white swan by an evil sorcerer. Under the spell of Von Rothbart, Odette spends her days as a swan, returning to human form at night. Only true love can break the spell but when Prince Siegfried is tricked by Von Rothbart and his daughter Odile, a black swan magically disguised as Odette, all hope seems lost. Since its premiere over a century ago in Russia, Swan Lake has become one of the most popular classical ballets of all time, enchanting audiences both young and old with its timeless story of good versus evil. Beautiful, tragic and incredibly captivating, Swan Lake is the Moscow City Ballet’s signature piece and it’s not hard to see why. Every inch of the performance is flawless, from the sublime choreography to the stunning sets and haunting Tchaikovsky score. The Russian company is at its artistic best with their beautiful, fresh and enchanting interpretation of the world’s most romantic ballet and their talented dancers are some of the finest in the business. The synchronised movements of the corps de ballet is simply sublime, with each and every dancer performing the complex, difficult and beautiful choreography with poise, grace, and incredible precision. Talgat Kozhabaev is impressive as the young Prince Siegfried. While his performance lacks a little emotional depth during the love scenes, his technique is faultless, demonstrating his power and strength as a dancer. Daniil Orlov is superb as the evil Von Rothbart, playing the role with just the right amount of menace and wickedness. Valerij Kravtsov is also outstanding as the comical Jester, captivating the audience with his handsome but cheeky elevation and impressive high-powered jumps. But the star performance is from Liliya Orekhova as Odette/Odile. Her elegant, fragile movements as the white swan Odette are simply exquisite and her extraordinary strength and imperious technique as the black swan Odile make her a pleasure to watch. The story is brought to life by the beautiful and haunting Tchaikovsky score, expertly performed by the Moscow City Ballet Orchestra under the watchful eye of conductor Igor Shavruk. If Kozhabaev and Orekhova’s intimate performance doesn’t give you goosebumps, the orchestral performance of the signature piece certainly will. Captivating, tragic and stirringly beautiful, Moscow City Ballet’s interpretation Swan Lake is one of the best you are likely to see for a long time and worthy of the rapturous audience response it received on opening night.